This resilient extra durable 45" x 53" rectangular shaped, straight edge, studded polycarbonate chairmat is strong enough to support you no matter how heavy you and your chair might be. 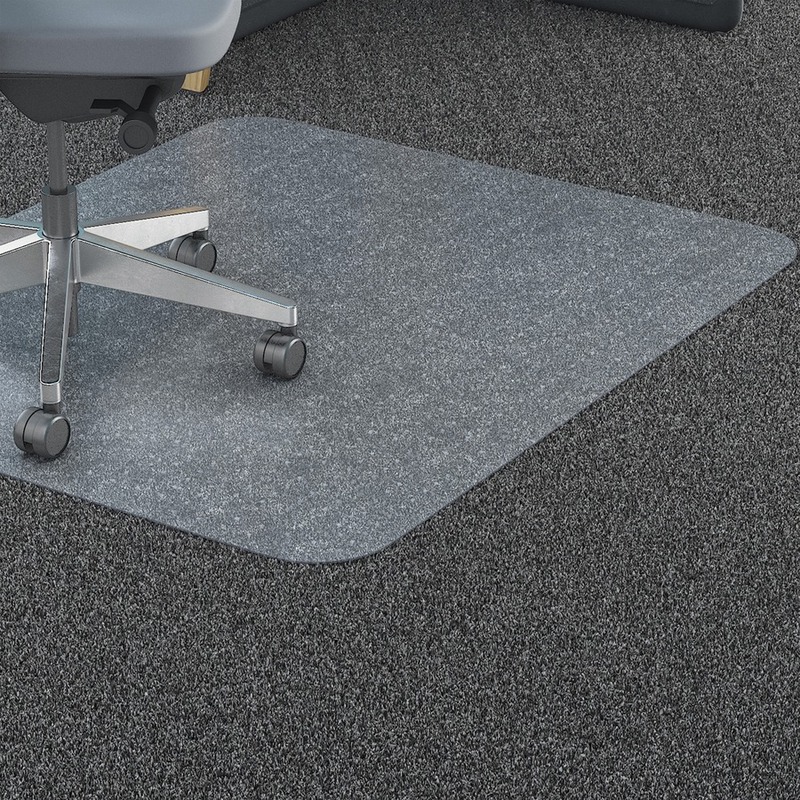 Plus it is designed to work with any low or medium pile carpet. Its exceptional clarity lets the beauty of your carpet show through while its easy-glide rolling surface provides effortless chair mobility. Copyright © 2019 Lorell Office Furniture.